Their domesticated relatives may clash, but India's big cats and wilds dogs get along surprisingly well. Leopards, tigers and dholes (Asian wild dogs) all compete for the same resources in India's Western Ghat region, yet a new study using camera traps shows that the three carnivores coexist with little conflict. Their solution? 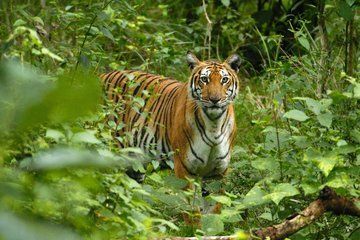 The predators have seemingly adapted to life in the relatively small reserves of the Western Ghats region by hunting at different times or in different areas, the researchers said.